​Taking Orders for 2019 - Order by going to "Contact." Black Stars, Montana Red Stars, White Silkies, and A.P.A. Standard-Bred Bourbon Red Turkeys are also available through Canyon Creek Poultry. 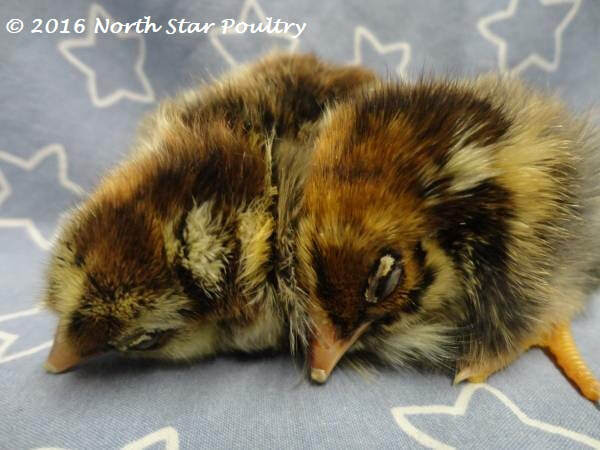 We can combine orders, but you will be billed separately from North Star Poultry and Canyon Creek Poultry. ​~ Read About North Stars. ​~ "Teddy Bear" chickens with cute brown stripes and fuzzy legs. ~ Read About Blue Stars. 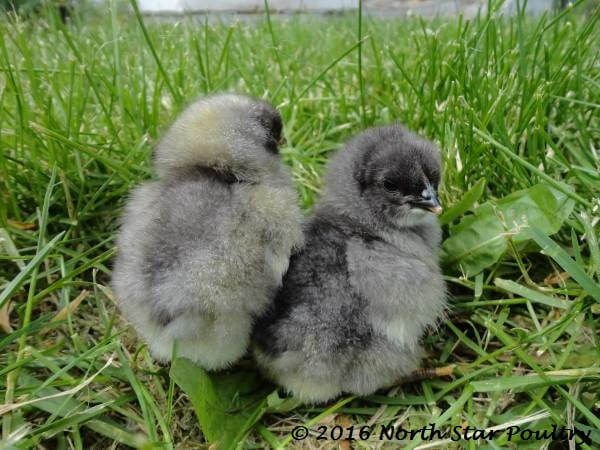 ​~ Adorable chicks, unusual lavender-blue coloration. ~ Read About Rose Comb Black Stars. 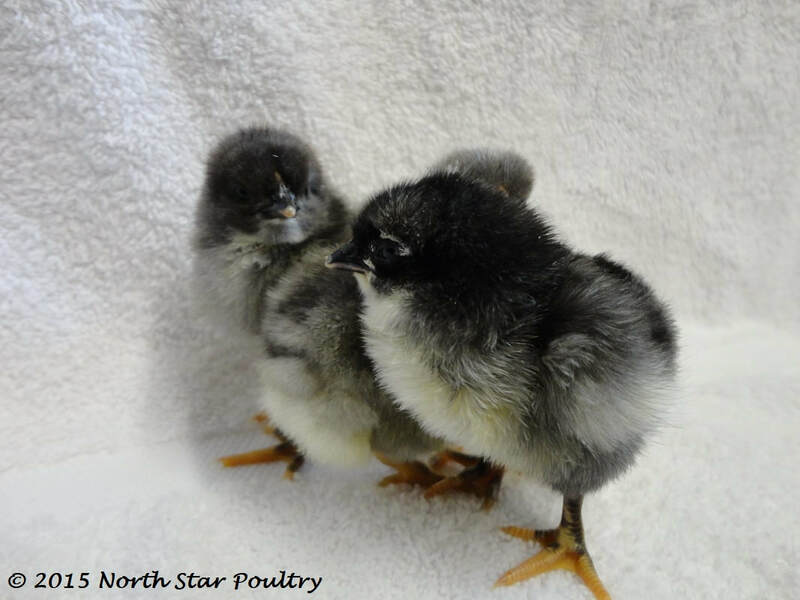 ​~ Cute black chicks with appealing white markings. ~ Read About Sunset Stars. ​~ Irresistible, fluffy dark-brown chicks with cinnamon faces and fuzzy legs. ~ Read About American Stars. 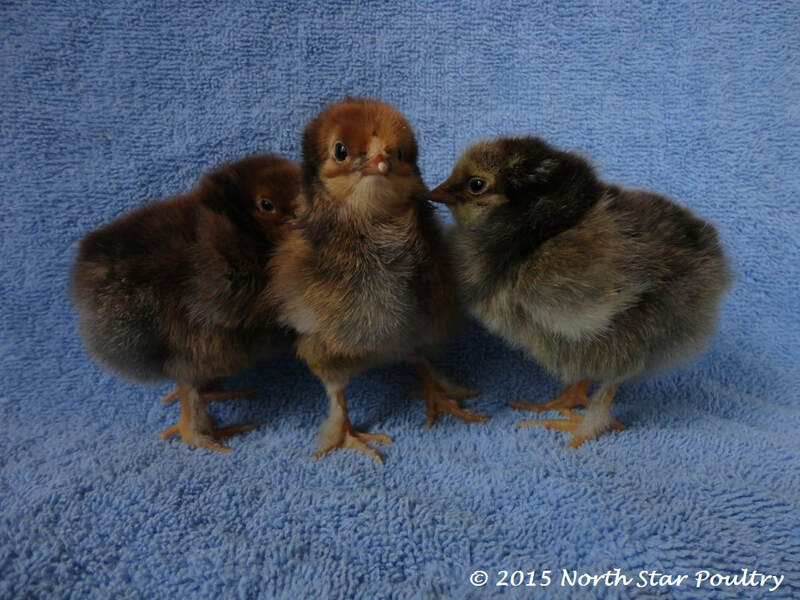 ​~ 90% female guarantee (out of an order of 10+ female American Star chicks). 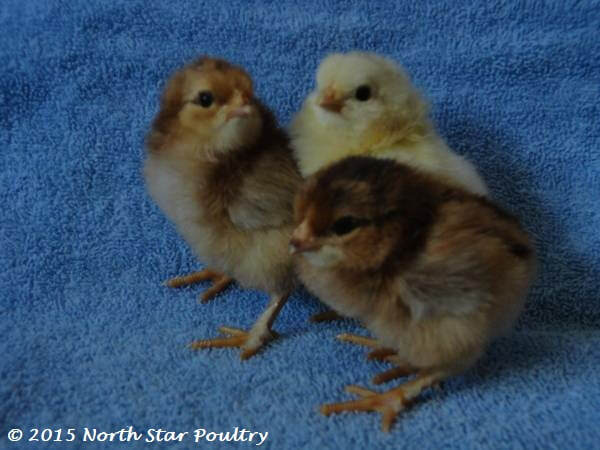 ​~ Cute chicks with red, black, yellow, brown, white, and red calico markings.